Tonight’s lesson featured more agemono (deep fried) and yakimono (grilled) dishes. We made Tonkatsu, breaded fried pork cutlets with a spicy tomato sauce, and yakiniku sauce, a marinade for barbecue meats. 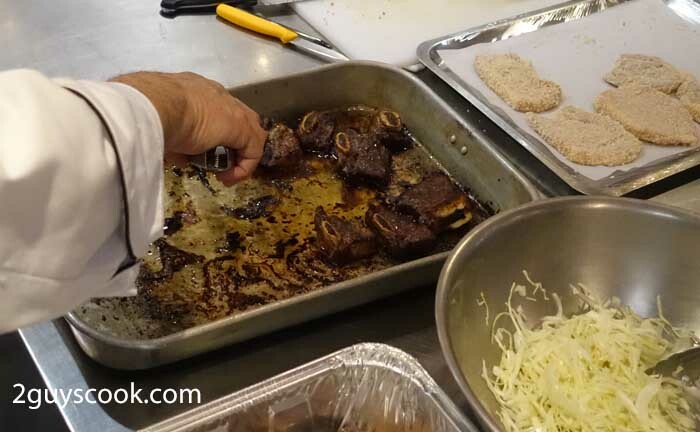 Short ribs are cut into pieces and marinated in the yakiniku sauce (not shown). The yakiniku sauce is like a Japanese version of bulgogi. It is a soy based sauce with flavouring (we used garlic, ginger, onons, sesame oil, orange peel…) and a natural meat tenderizer (kiwi, papaya, pineapple). The version made in class was delicious and it only marinated for an hour. Can’t wait to try some that has been marinated longer (you can marinate meat for up to 3 days). 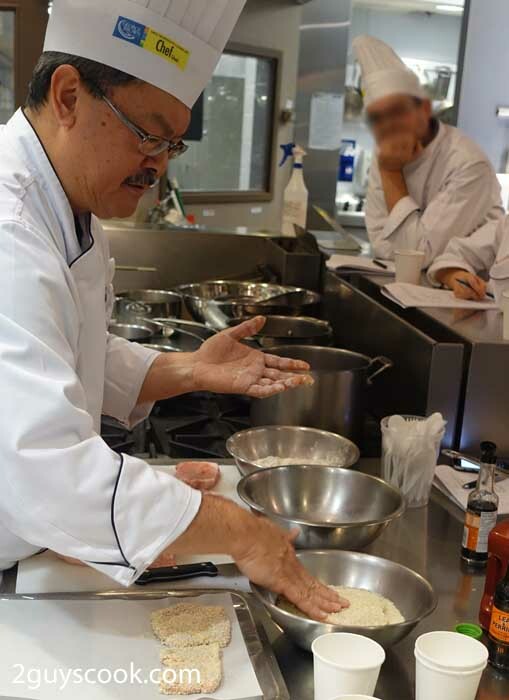 The chef shows the proper (2 hand) technique for breading – the meat is coated with flour and egg with one hand and panko with the other. No wonder I used to get more breading on my fingers than on the meat. 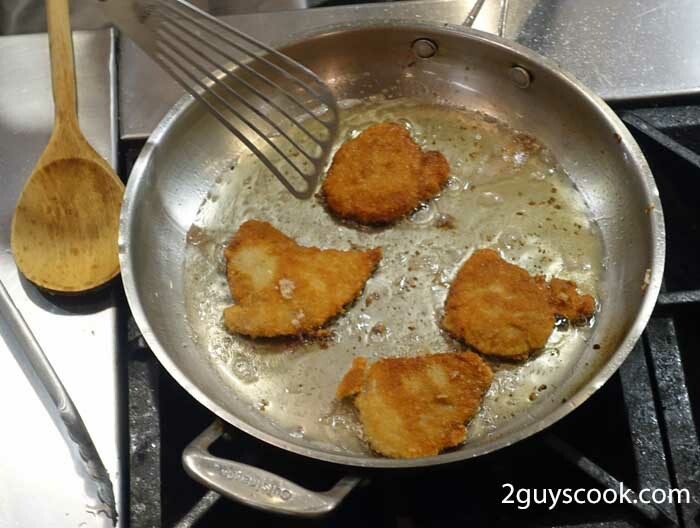 Tonight the cutlets were gently shallow fried in oil. The final product. The pork cutlets are cut into strips and served with cabbage (softened with a little rice vinegar, salt and sugar). The pork is covered with (rather addictive) tonkatsu sauce – a mixture of ketchup, worchestershire sauce, dijon mustard and sugar.